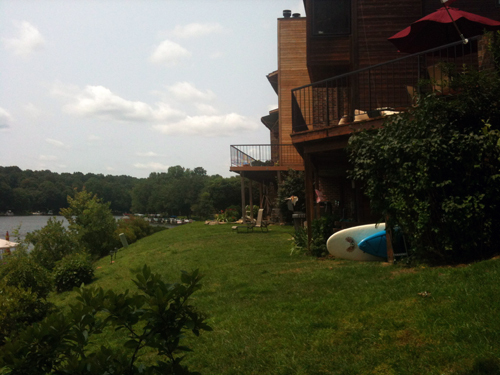 Cabot's Point in South Reston is lakeside living at it's finest. Many neighborhoods say they are Reston's undiscovered jewel. 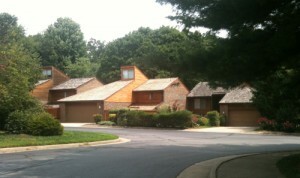 Cabot's Point Cluster in the South Lakes area of South Reston is one with a true stake on that claim. This beautiful community of cedar patio homes borders Lake Audubon, Reston's largest lake. The neighborhood is so secluded that many people don't realize there are houses back there. Many homes in Cabot's Point have lake front property. 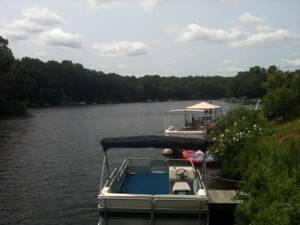 Warm is the way to describe this Reston lake side neighborhood. Built in the early- to mid-1980s, these townhomes have a distinctive contemporary design with sharp right angles and sun-drenched cedar siding. Rather than the adjoining walls typical of most town house developments, two-car garages attach these units. The yards are beautifully landscaped, and common areas provide a wooded setting. The homes have one or two decks and are staggered along winding, narrow cul-de-sacs that give the impression of a small village. Many units have lake views. Lake Audubon is Reston's largest lake. Access to Cabots Point comes from South Lakes Drive, across the street from South Lakes High School and a quick walk to South Lakes Village Center. Cabot's Point may be close to every activity Reston has to offer (including the new Reston Metro station), but for many residents, lazy evenings on the lake are the leisure activity of choice. Talk to any resident of Cabot's Point, and they'll tell you they have no intention of ever moving out of the neighborhood. Homes don't often come on the market here, so if you see one, jump on the opportunity immediately.